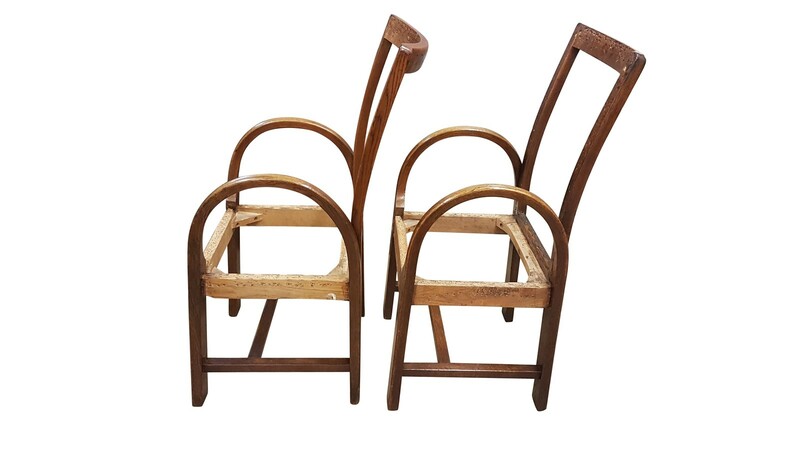 A very unusual pair of 1920s solid oak armchair frames. 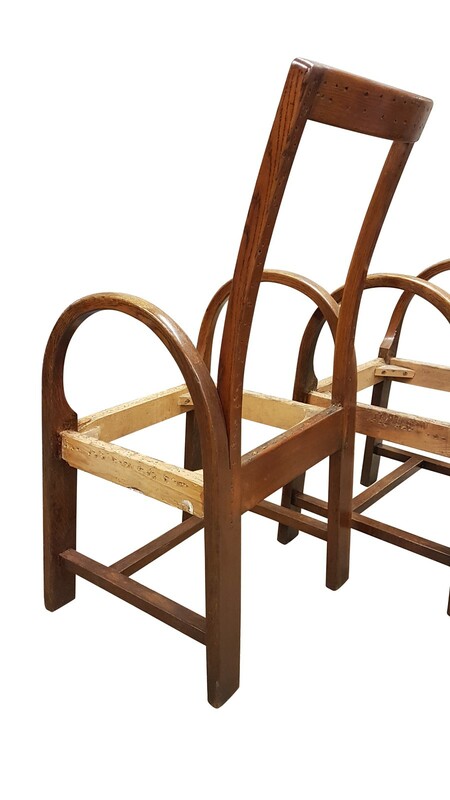 This pair are very sculptural are unique in their construction, the front legs, back legs, arm rests and backs on each side are from one single plank of oak that has been cut down the middle to a stop then pegged after this the sections would have been steamed and bent into shape. This sounds straight forward when written down but in 25mm thick oak this is anything but straightforward, would have taken a very experienced frame maker of great skill. H 40.16 in. x W 20.48 in. x D 18.12 in.